In a large bowl, combine the almond flour, butter and salt. Blend until a doughy texture takes shape. Transfer the dough into a 9 inch pie dish and press it out evenly into the dish so that the complete surface is covered. 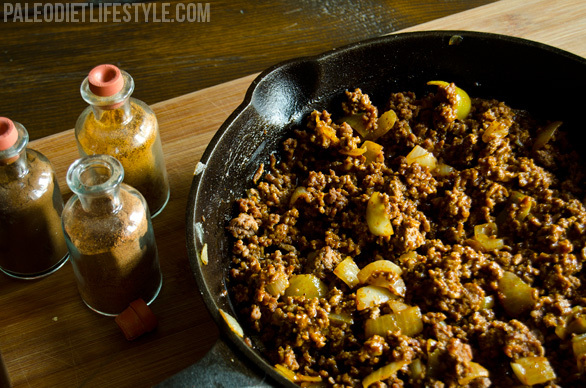 In a large skillet over a medium-high heat, melt the cooking fat and sauté the onions in the cooking fat until they become slightly translucent. 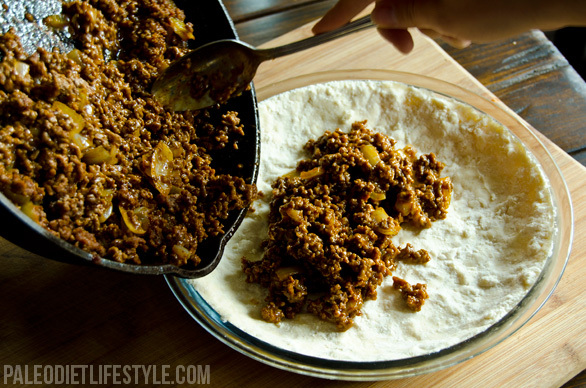 Add the ground beef to the skillet and cook until the beef has cooked through. Mix the barbecue sauce in with the beef and season with salt and pepper to taste. Cook for about 2 more minutes and then remove from the heat. Pour the beef into the pie crust and place in the oven for 30 to 35 minutes. 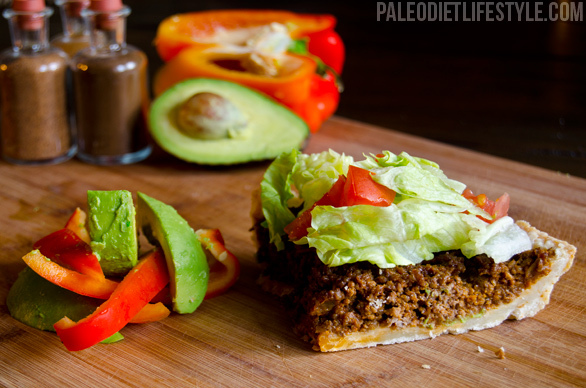 Prior to serving, cover the surface of the pie with chopped lettuce, red bell pepper and avocado. P.S. Have a look at the Paleo Recipe Book. It's a cookbook we've created to help you cook the best Paleo food. It contains more than 350 recipes and covers everything you'll need. Also, Your Guide to Paleo, a beautiful Guide for everything you need to know about Paleo. The Guidewill help you avoid the most common pitfalls and reach your goals much faster.